Yes! We attend Baby Showers! 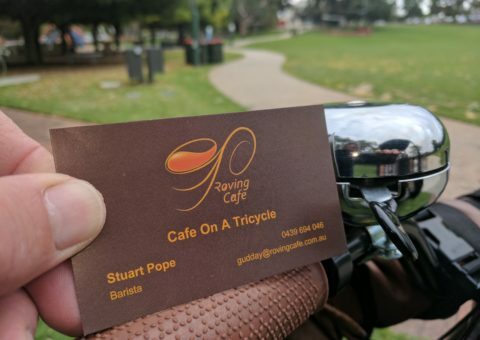 An old style cafe on a tricycle. Roving Cafe is not only self sustainable and environmentally friendly, but we keep it classy. The cafe is setup with natural colours, chrome, leather and wood grain. 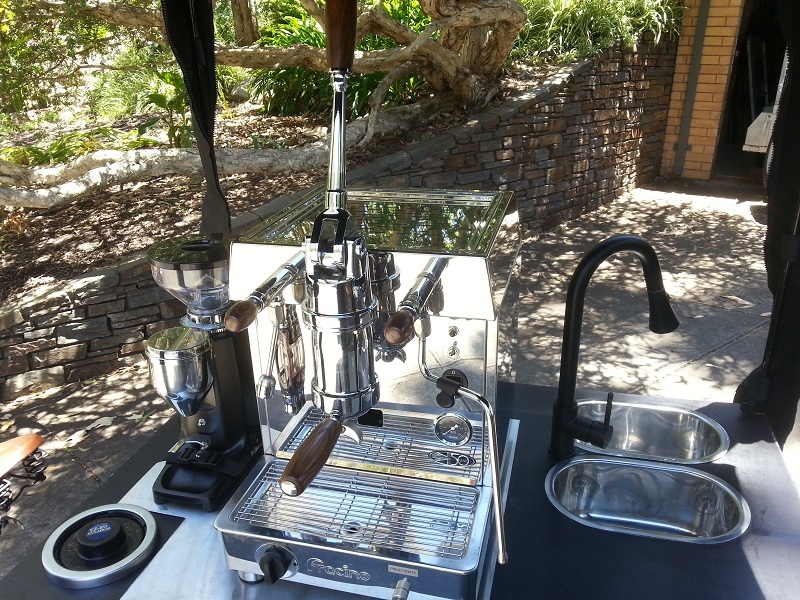 We use an old style lever espresso machine to make that perfect cup. 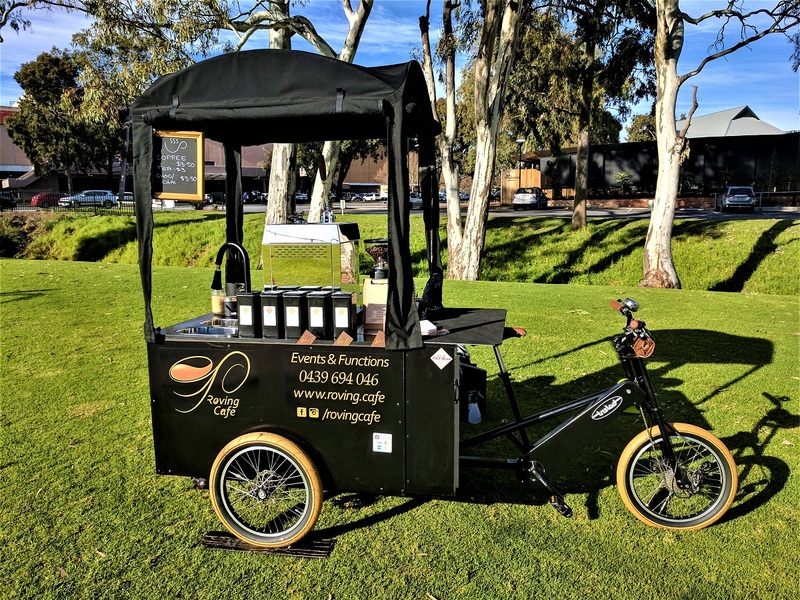 We wanted to create a pleasant social experience, where people could get that same barista cafe quality, in natural surroundings enjoying Adelaide’s gorgeous park lands. Roving Cafe does not use a generator, so it is quiet, allowing you to enjoy the sounds of nature instead. Fair trade and supporting local business is also very important to us. 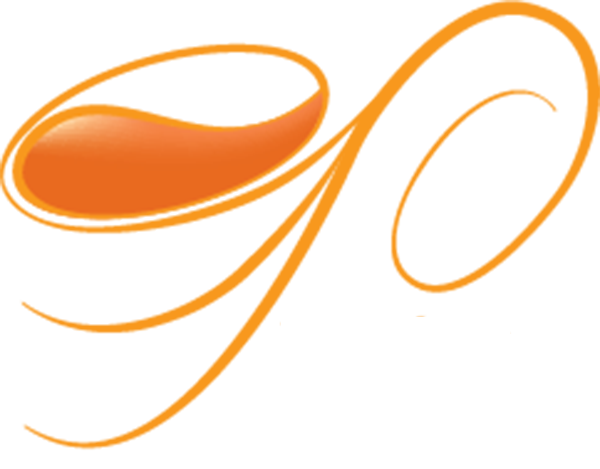 We purchase quality products that are produced in South Australia and sourced via fair trade practices. We care deeply for the environment and insist on using BioCups, compostable cups and lids. We maintain as little waste as possible by recycling water and coffee grounds (they feed our garden). Coffee and riding are both passions of mine. I am a jack of all trades, who has travelled a lot. Ive learned that two things are important to me: enjoying nature, and seeing people happy. I wanted to create a cafe that I could actually ride in the park lands. Of course it had to be completely self sufficient, it had to be able to make a great cup of coffee, and it had to be friendly to the environment. 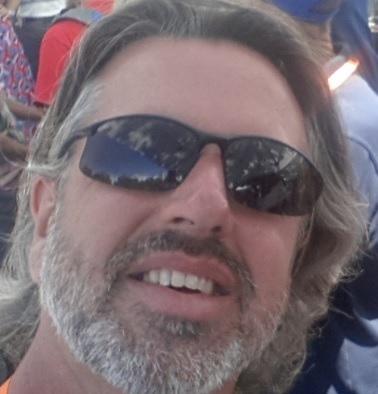 This is why I started Roving Cafe. I want you to be able to enjoy good coffee while you take 5 minutes to enjoy nature. We love it! 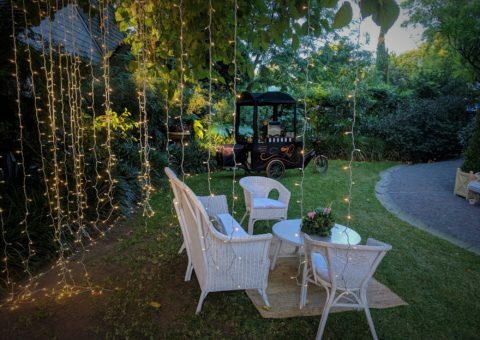 Roving Cafe fits in nicely with a garden theme. 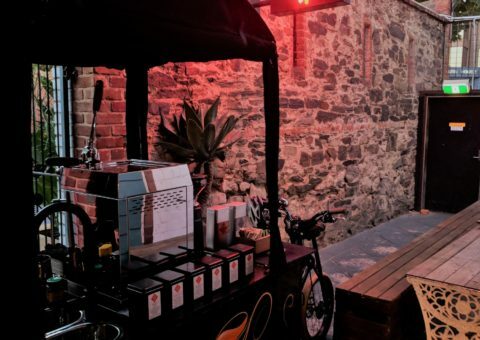 Roving Cafe attending another business event in the old East End Market area of Adelaide City. 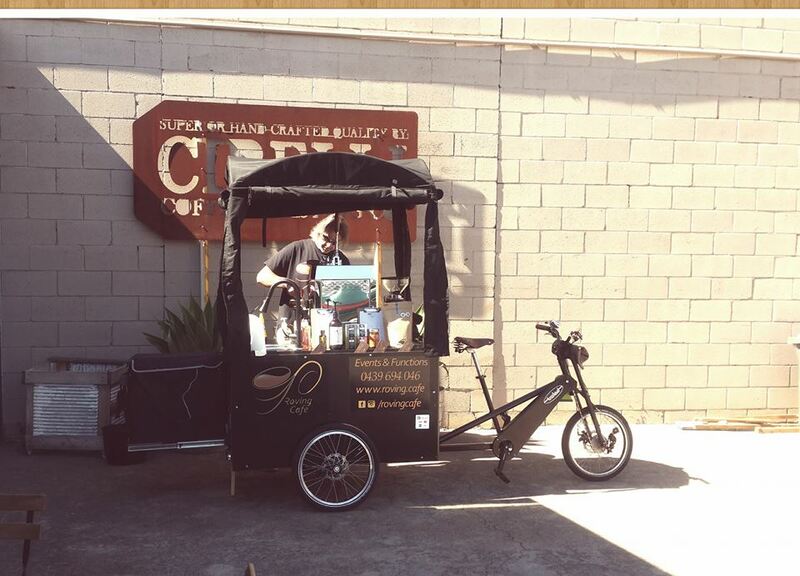 The coffee tricycle was a hit and the setting was gorgeous. This seems a nice place to chill out. 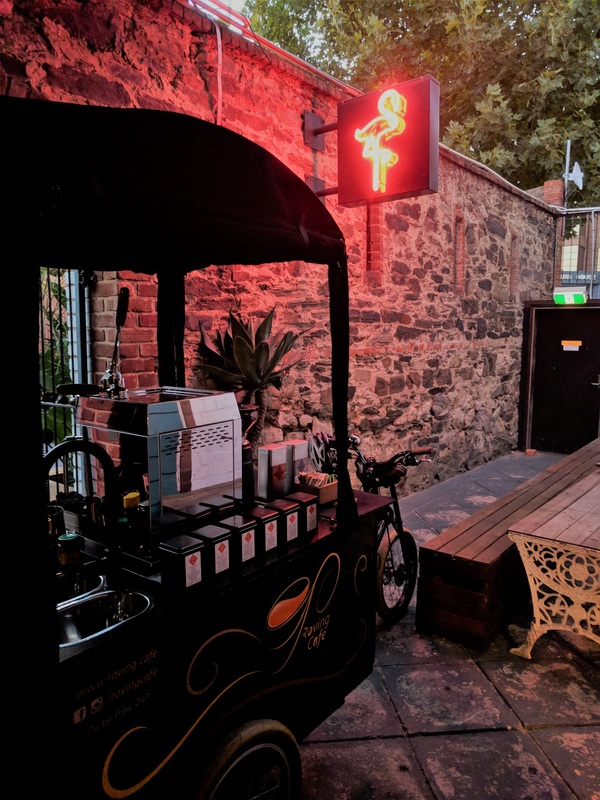 Cart and Barista available for hire for functions and events. Roving Cafe enjoying the sunshine at Civic Park, Modbury. 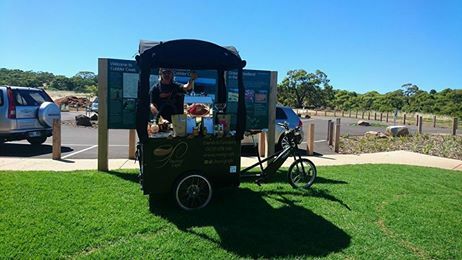 Join us to enjoy a barista made coffee, and remember that we do also offer coffee cart hire for your function or event. The cart is driven by a front wheel drive tricycle. Interesting! We take pride in providing locally sourced barista quality beverages. All of our products are purchased from South Australian suppliers with fair trade, sustainability, and quality being important to us. 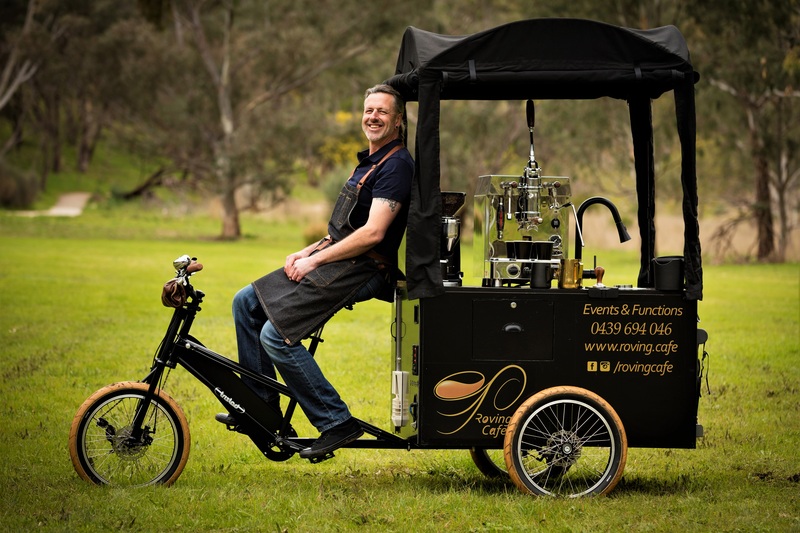 Roving Cafe’s coffee tricycle is available to attend parties, functions, corporate events. 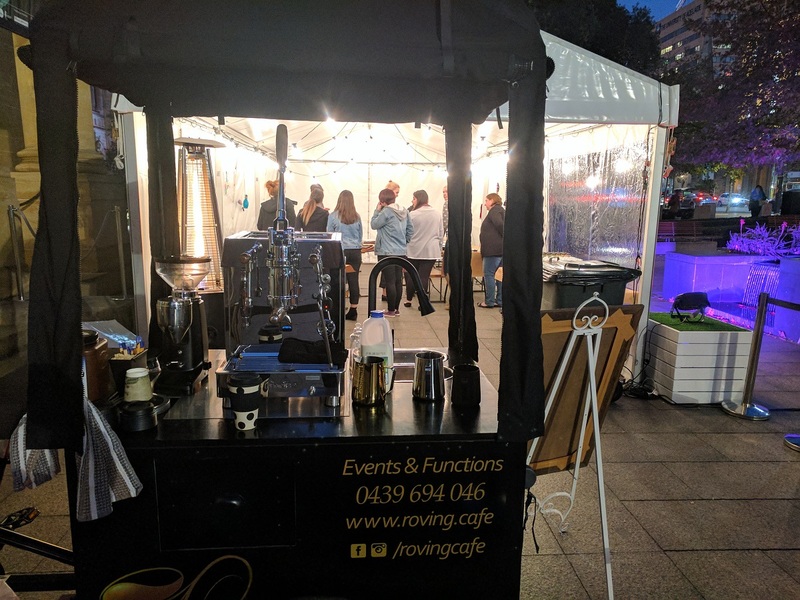 Click here to go to our bookings page for more information on hiring the Roving Cafe coffee cart. 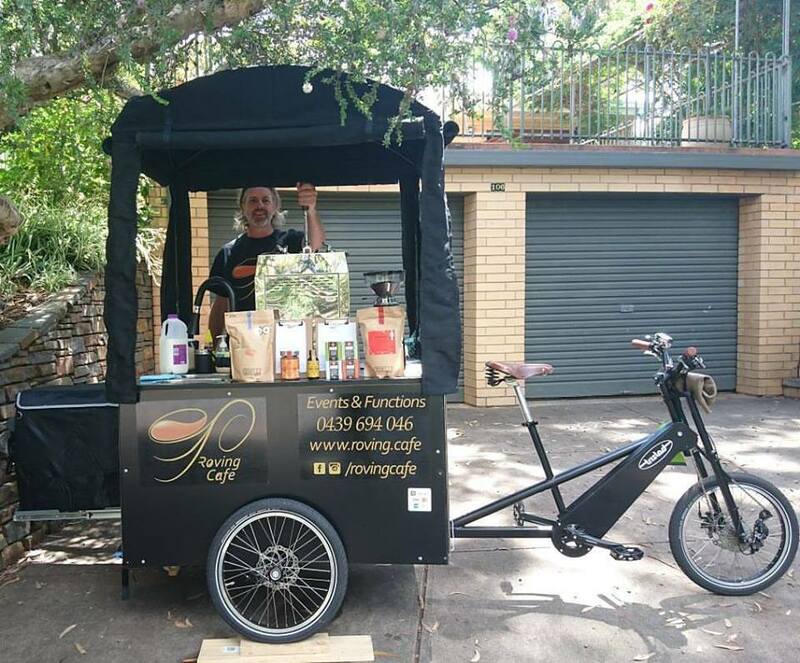 The Roving Cafe tricycle looks great in gardens and natural surroundings. 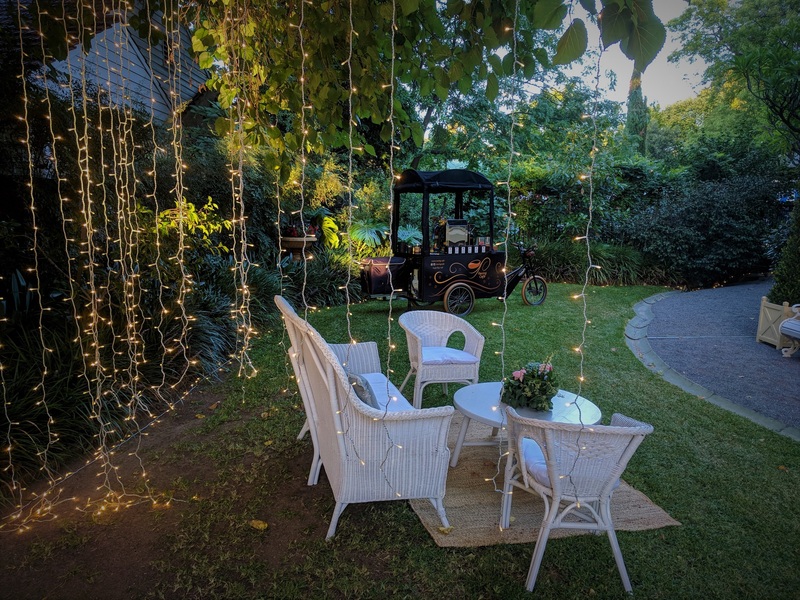 This beautiful wedding setting offered a gorgeous coffee nook for guests to relax with a cuppa. 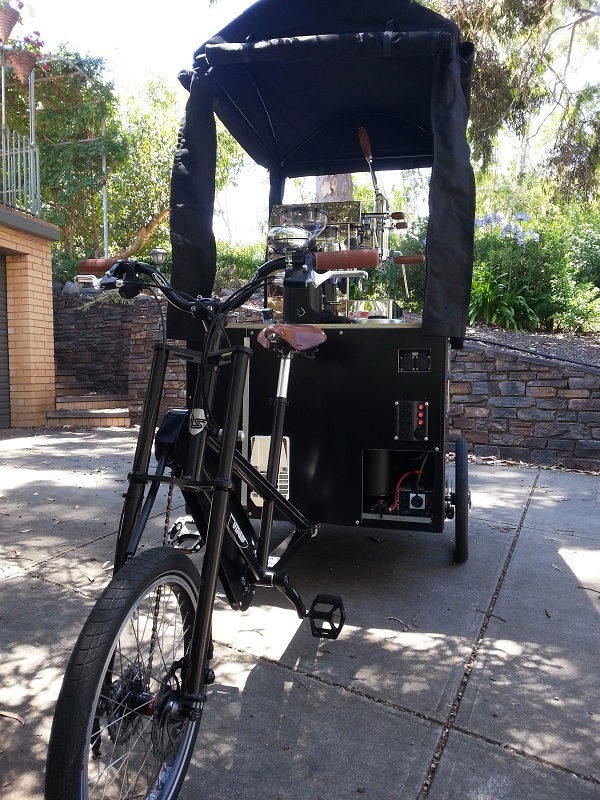 Roving Cafe is at Civic Park, Tea Tree Gully weekdays between 9:30 am and 12:30 pm Come and warm up with a hot cuppa and friendly chat.